Since several decades, childhood overweight steeply increased, but after around the year 2000, a plateau or even a decline in prevalence rates has been reported in many industrialized countries (Rokholm et al., 2010). However, the problem remains important, since the prevalence of childhood obesity is still high in many countries. While prevalence of childhood obesity was increasing, energy intake was decreasing, particularly due to decreasing fat intake (Rolland-Cachera 2002; Gibson 2010; Alexy et al. 2002). This paradoxical situation can be explained by decreasing physical activity and increasing sedentary lifestyle (Butte et al. 2007). Indeed, exercise has beneficial effects limiting the development of obesity and improving fitness in children (Kellou et al. 2014; Pařízková 2008). Decreased energy intake is reported in all age groups, but the hypothesis of decreasing physical activity to account for by decreasing energy intake is less convincing in very young children. Other factors may explain the rising trend of obesity. The role of environmental factors in early life in predicting later health has generated substantial interest in recent years (Hanley et al. 2010). The early adiposity rebound recorded in most obese subjects (Rolland-Cachera et al. 2006) suggests that factors promoting body fat development have operated in the first years of life. Particularly, early nutrition can exert long-lasting influence on health. Birth weight, growth velocity, adiposity rebound and body mass index trajectories seem to be highly sensitive to the nutritional conditions present during pregnancy and in the first years of life. Early inadequate nutrient balance in early life may account for by the paradox of increasing obesity and decreasing energy intake. The low protein-high fat diet recorded in many young children, which contrasts with the low protein-high fat composition of human milk, may favour the development of obesity (Rolland-Cachera et al. 2006; Michaelsen and Greer 2014; Rolland- Cachera et al. 2013). High protein intake can promote overweight via increasing Insulin like growth factors 1 and dietary fat restrictions can decrease energy density, thus programming adaptive metabolism to prevent underweight and increasing the susceptibility to develop later overweight and metabolic diseases (Rolland-Cachera et al. 2013). A “mismatch” between early restrictions and later positive energy balance due to increasing fat intake and low energy expenditure due to sedentary lifestyle could be particularly harmful. In conclusion, nutrient balance of the diet varies according to the age of the child. In spite of official recommendations that dietary fat should not be restricted in young children, fat intake is often low in early life and increases with age. It should be high in early childhood and decrease with age. The high protein low fat diet recorded in early life, and low physical activity in children may have contributed to the obesity epidemic. 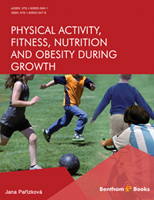 The consequences of inadequate nutrition at different ages, and the rising sedentary lifestyle in children stress the importance of providing nutritional intakes adapted to the child’s metabolic needs at the various stages of growth and of promoting physical activity which contributes to an optimal energy balance and improves health and fitness. Alexy, U., Sichert-Hellert, W., Kersting, M. (2002). Fifteen-year time trends in energy and macronutrient intake in German children and adolescents: results of the DONALD study. Br. J. Nutr., 87(6), 595-604. Butte, N.F., Christiansen, E., Sørensen, T.I. (2007). Energy imbalance underlying the development of childhood obesity. Obesity (Silver Spring), 15(12), 3056-3066. [Silver Spring]. Gibson, S. (2010). Trends in energy and sugar intakes and body mass index between 1983 and 1997 among children in Great Britain. J. Hum. Nutr. Diet., 23(4), 371-381. Hanley, B., Dijane, J., Fewtrell, M., Grynberg, A., Hummel, S., Junien, C., Koletzko, B., Lewis, S., Renz, H., Symonds, M., Gros, M., Harthoorn, L., Mace, K., Samuels, F., van Der Beek, E.M. (2010). Metabolic imprinting, programming and epigenetics - a review of present priorities and future opportunities. Br. J. Nutr., 104 (Suppl. 1), S1-S25. Kellou, N., Sandalinas, F., Copin, N., Simon, C. (2014). Prevention of unhealthy weight in children by promoting physical activity using a socio-ecological approach: What can we learn from intervention studies? Diabetes Metab., pii: S1262-3636(14)00029-9 [Epub ahead of print]. Michaelsen, K.F., Greer, F.R. (2014). Protein needs early in life and long-term health. Am. J. Clin. Nutr., 99(3), 718S-722S. Parizkova, J. (2008). Impact of education on food behaviour, body composition and physical fitness in children. Br. J. Nutr., 99 (Suppl. 1), S26-S32. Rokholm, B., Baker, J.L., Sørensen, T.I. (2010). The levelling off of the obesity epidemic since the year 1999--a review of evidence and perspectives. Obes. Rev., 11(12), 835-846. Optimal health and a high level of fitness have been long recognized as a key to the future of any human population. Concern for the development of future generations has been a central theme in all civilizations, not only in those well developed, but also in primitive ones. However, even under positive conditions of problems can appear: provision of a favourable environment with an ample diet, adequate education and health care is no guarantee that appropriate level of physical fitness, health status and its prognosis in children and adolescents will be achieved. The increasing level of economic conditions and the improvement of nutrition have been contributing not only to an accelerated growth and development, but also to disproportional development of body composition, which concern the whole population. This has manifested especially by an increasing ratio of adipose tissue in the organism, which has affected all age categories including the preschool one; often without more apparent changes of total body weight and body mass index - BMI (“hidden obesity”). Nutritional intake, both from the point of view of energy content as well as the composition of the diet (especially the ratio of saturated fats and simple sugars) has not corresponded to the actual needs of the organism - mainly from the point of view of reduced energy expenditure resulting from the impact of physical inactivity (WHO 2010a,b,c). This concerns already children of early age, who are characterized by highest level of spontaneous physical activity, and therefore reduced possibility to move, play and exercise is mostly unnatural at this age. This mostly continues during following years and has undesirable results. Secular trend of increasing adiposity along with the reduction of functional capacity and motor abilities was found since youngest age, and runs parallel with increased health risks which have started to appear already during this period of growth. With regard to health problems resulting from a generally enhanced adiposity and increasing prevalence of obesity, this situation is harmful at any age including school age and adolescence, especially when considering possible delayed health effects in adult and advanced age. Introduction of an appropriate régime of not only nutrition, but also of physical activity is indispensable, starting with the very beginning of life. In this respect, an approach based on proper evaluation of the individual including genetic factors should be also implemented as all humans are special from all points of view – also as nutritional and motor individualities (Pařízková 1998, 2008, 2010, 2011). More recently also the interrelationships between nutrition - its energy content and composition on the one hand, and energy expenditure resulting from physical activity level on the other one have been considered and analyzed in greater extent and detail. However, the effect of physical activity (PA) as a significant metabolic, nutritional, hormonal, psychological etc stimulus has not always been - as has been much more the effect of others like diet – more exactly defined, assessed and analyzed with regard to its character, intensity, frequency and regularity along satifactorily long periods of human growth, and also with special regard to not only genetic, but also epigenetic factors influencing the organism since early life. The last mentioned factor – the composition of early diet concerning e.g. proteins – was mentioned above. This monograph is aimed, among others, to contribute to this problem and with an effort for a more complex approach. However, it has been too difficult to summarize more aspects in their mutual relationships, and also according to the present state of art, as this fragmented research is a permanently developing story. Too many new studies and reviews have been appearing during recent years until present which have not been homogenously aimed and planned, executed, elaborated and interpreted, followed up in comparable groups with regard to age span, gender, degree of sexual maturation, dietary intake, social and cultural status and many others – so consented conclusions could have been hardly achieved. But hopefully, some of the presented information could at least partly contribute to further developement of this important topic. World Health Organization. (2010a). Report of the workshop on integration of data on physical activity patterns. http://www.euro.who.int/en/health-topics/noncommunicable-diseases/obesity/publications/2010/report-of-the-workshop-on-the-integ- ration-of-data-on-household-food-avail ability-and-individual –dietary-intakes). WHO Europe. (2010b). Part of a WHO/EC Project on monitoring progress on improving nutrition and physical activity and preventing obesity in the European Union. World Health Organization. (2010c). (http://www.euro.who.int/en/health-topics/noncommunicablediseases/obesity/publications/2010/ report-of-the-workshop-on-the-integration-of-data-on-physicalactivity- patterns). Food and health in Europe: a new basis for action. WHO/Europe. World Health Organization. (2011). infobase https://pps.who.int/infobase/report.aspx. World Health Organization. Obesity and overweight, Fact Sheet No 311, Updated March 2013. Pařízková, J. (1998). Interaction between physical activity and nutrition early in life and their impact on later development. Nutr. Res. Rev., 11(1), 71-90. Pařízková, J. (2008). Impact of education on food behaviour, body composition and physical fitness in children. Br. J. Nutr., 99 (Suppl 1), S26-32. Review. Pařízková, J. (2010). Nutrition, Physical Activity and Health in Early Life. (2nd ed.). Boca Raton- London – New York: CRC Press Taylor and Francis Group. Pařízková, J (2011). From an inactive and obese to a fit child: how long is the way? Czech experiences. Adv. Nutr., 2(2), 177S-81S. Epub Mar 10. Pařízková, J. (2014). Fatness and fitness related to exercise in normal and obese children and adolescents. J. King Saud Univ. – Sci., 26, 245-253.